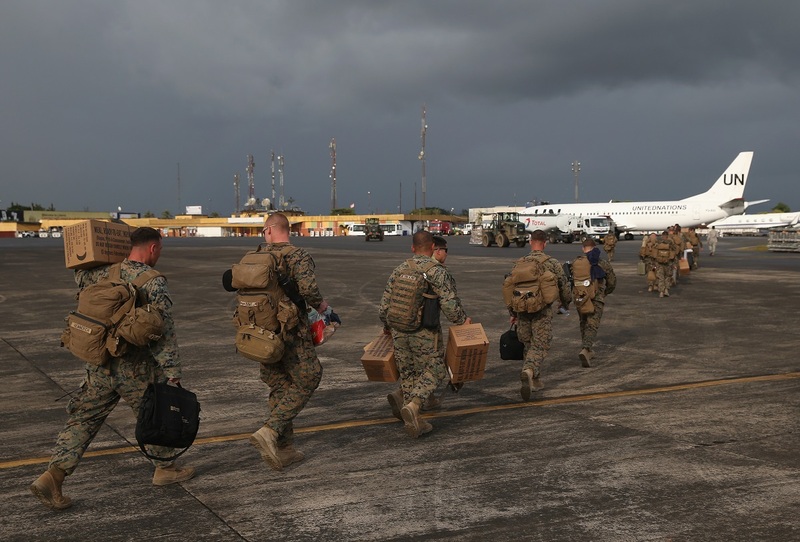 U.S. Marines arrive as part of Operation United Assistance to support the American effort to contain the Ebola epidemic, in Monrovia, Liberia, October 9, 2014. This week, Colonel Chris Wyatt, Director of African Studies at the U.S. Army War College, joins Eric and Cobus to discuss a conservative U.S. foreign policy outlook regarding Africa and his views on Chinese engagement on the continent. Colonel Wyatt is a professional military officer with more than 36 years of experience in security, international development, and education in Africa, Europe, Southwest Asia, and North America. He was also the lead military advisor to the U.S. ambassador to the African Union and served as the U.S. Africa Command Liaison Officer to the African Union. His background in Africa includes operations in Uganda, Central African Republic, and South Sudan, among many others. Although Colonel Wyatt is an active duty officer in the United States military, his comments in this week’s podcast represent his personal views and not those of the Pentagon or the United States government.